Egyptian President says the fight against terror needs "a reformed religious discourse" which removes "false ideologies". Egyptian President Abdel Fattah al-Sisi on Monday said the fight against "terrorism" needs a new Muslim religious discourse in addition to security and military measures, AFP reported. "The rise in terrorism... requires a thoughtful response from the international community," Sisi told the World Future Energy Summit in Abu Dhabi. "The fight must not only be restricted to security and military aspects... but should include a reformed religious discourse from which false ideologies that could lure some into adopting violence to impose their ideas have been removed," he added. 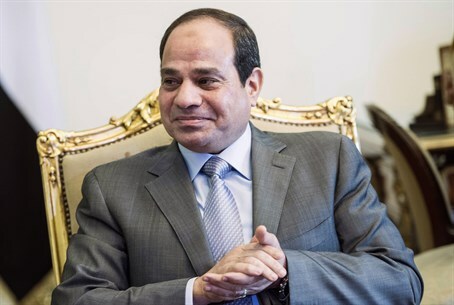 Sisi’s comments on Monday follow ones he made in a speech to Islamic clerics at Cairo's Al-Azhar University, in which he said Islam had become “a source of anxiety, danger, killing and destruction” for humanity. Egypt and the United Arab Emirates (UAE) enjoy a close relationship and cooperate in various fields besides military activities. Both governments are hostile towards Islamists and have blacklisted the Muslim Brotherhood, branding it a terrorist organization. Gulf security is "a red line" for Egypt, Sisi said, affirming his country's unwavering support for efforts by the UAE "to preserve its national security" and urged "increased" action to "confront all attempts to breach the security of Gulf countries." The UAE last year jailed a group of 30 Emiratis and Egyptians for terms of three months to five years for forming a Muslim Brotherhood cell. They were part of dozens of other Islamists jailed in the UAE since the Arab Spring uprisings erupted in 2011, even though the country itself has not seen any anti-regime movements. Crackdowns against the Muslim Brotherhood, particularly in Egypt led to a months-long diplomatic spat pitting Qatar, an active supporter of the Brotherhood, against Saudi Arabia, the UAE and Bahrain, which all supported the ouster of Morsi. In an unprecedented development, the three nations had recalled their ambassadors from Doha last March, in protest against Qatar's support for the Islamist movement, then returned their diplomatic staff to Qatar in November. Recently, however, relations between Qatar and Egypt have improved, as Sisi met with an envoy from the Gulf emirate.